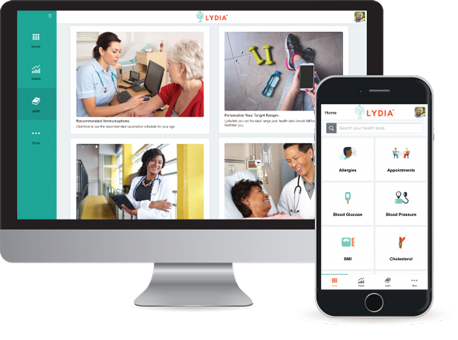 Microsoft has identified Lydia by Get Real Health as an option for HealthVault users to transition their existing health data. Transfer your Microsoft HealthVault data into Lydia to easily and securely manage your health for free today. Nothing changes. Your data, login, password and most importantly – privacy – stay the same. It takes only three steps to move your data from Microsoft HealthVault to Lydia. Lydia has the most important features from Microsoft HealthVault plus enhancements to improve your experience. Having issues with transferring your data? How Do I Transfer My Data?